We pride ourselves on offering you a service that’s responsive, reliable and robust, but above all, personal. If something is important to you, then it’s important to us. 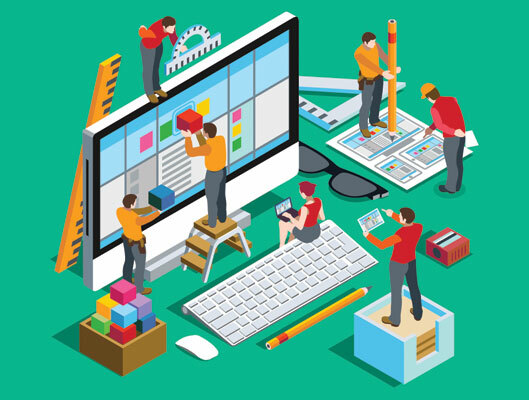 We’ll build your website to behave exactly how you want it to, whether that’s a simple brochure site with text and pictures, or something a bit more complex and interactive. 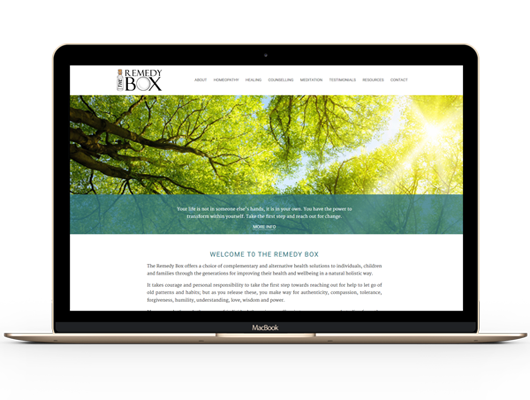 Our Starter website packages start at around £1350+vat, and include everything you need for an effective web presence that will give your business credibility and start gaining you new customers. 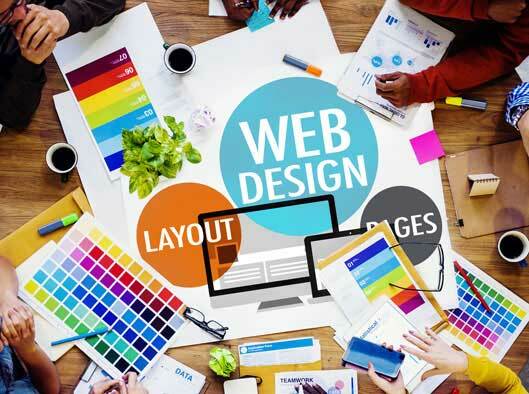 Your website is an investment in your business. It’s the world’s window onto what you do and it needs to look good and be uniquely you. That’s why we don’t use templates – every site we create is coded from scratch. And because so many people browse the Internet on moile devices these days, all new websites are designed to be responsive - in other words they elegantly change their layout to be attractive and clear in relation to the size of the screen they're being used on. Clean and simple design is key to an easy-to-use website. 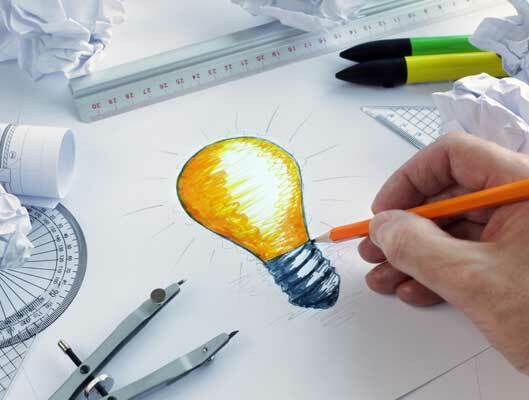 We know how frustrating it is as a customer if you can’t find what you’re looking for on a website, so we steer clear of fussy or overly complex designs and just make sure we’re showing your business at its very best. And being responsive - all new websites are as easy to use on mobile as on desktop. It’s not enough to have a beautiful website if your customers can’t find it. 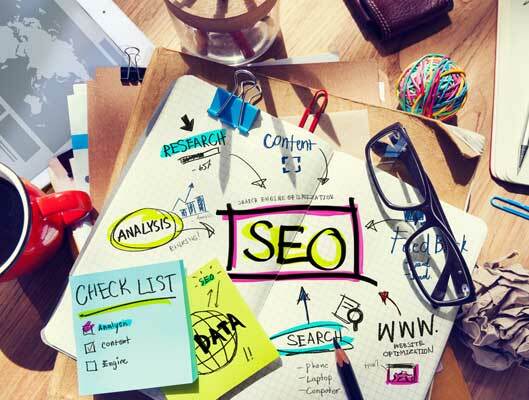 Whatever the size of your business, the search terms we build into your site are tailored to make it easy for the right people to discover you on Google and other search engines. We design and build responsive sites that look and function equally well on a desktop computer, tablet or mobile phone. They’re also easy and quick for you to update – even if you’re not technically-minded. And because we host your site for you, we can help you update the features of your site as technology moves on. 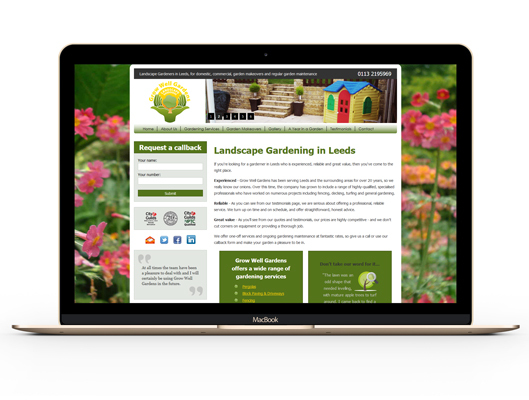 The owner of a local gardening business asked us to create a new website for him in order to raise his profile and generate more work – and just eight weeks later his new site was up and running. Although he had an existing website, it contained very few pages. And because he didn’t have access to change any of the content himself, when his contact details changed it meant that the information on his website was wrong. 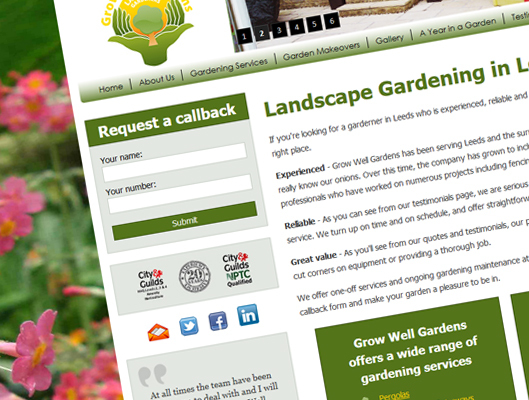 Even worse, it wasn’t appearing in the results of any internet searches, so potential customers looking for a gardening business were simply not seeing his site. We also introduced a gallery section onto the website, featuring before and after pictures of large numbers of previous projects, as the most important thing for his prospective customers was to be able to view examples of his work. Since the new website went live, the owner gets several new enquiries per week through it. He has gone from a website that he says never led to any work for the firm, to one which now brings in 90% of his new business and, he says, has paid for itself many times over. Like what you see? Excited to get your project started? Call us on 0113 8800 388 or click here.